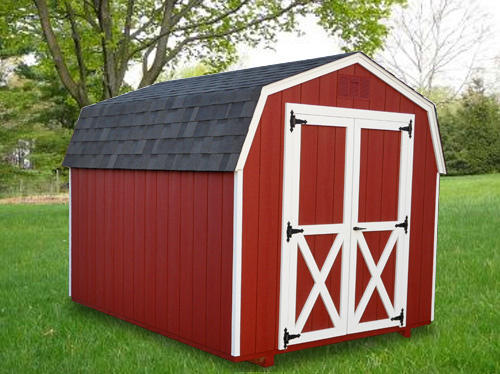 As a cellular foam PVC product, Barn Trim is a favorite of the shed industry because it saves time on painting and it will not rot or retain moisture like a wood product. Barn Trim is a co-extruded low maintenance exterior trim that will not rot, splinter, crack, or warp like wood. It is made up of PVC resins for the core and an ASA cap that helps retain the color. There are specific colors available, rendering painting unnecessary. This product has no wood fillers or organic material. Even with ground contact it will not rot or break down.